AMERICAN WRITER, A Positive Thinking Movement! The true power of higher education has been receiving a great deal of attention in the media lately. This exposure appears to gain greater momentum during the national elections. Modern U.S. high school students have developed heightened educational ambitions. More than 88 percent of middle school students surveyed expect to partake in some form of post secondary education. In October 2011, the U.S. Bureau of Labor Statistics reported that 68.3 percent of 2011 high school graduates were currently enrolled in colleges or universities. American College Testing (ACT) released the 2012 edition of “The Condition of College & Career Readiness” report based on information collected from high school graduates taking the ACT College and Career Readiness exam. This year is the first time more than half of the U.S. high school graduating class took the ACT exam. The data reported indicates that more than a quarter of the students did not meet the ACT College Readiness Benchmarks for English, mathematics, reading and science. The results clearly suggest that a significant number of students enrolled as college and university freshmen this fall have not been adequately prepared by their high schools to produce college level work or to adequately perform in a rigorous higher education environment (Lawrence, 2012). This lack of preparation is not an entirely new phenomenon; the Stanford Policy Brief released in 2003 indicated that 40 percent of students in four-year institutions took some remedial education as compared with 63 percent at two-year institutions. These rates are symptoms of a greater problem: Our high-school students are not prepared for college and university work, a reality that has clearly become the norm. The current compulsory education systems result in a lack of understanding among students, parents and K-12 teachers regarding what conditions students require to be able to succeed in higher education (Venezia, 2003). A contributing problem is a lack of student preparedness – the education preparedness link between high school and college simply does not exist. High schools teach from knowledge bases and skill sets that do not fulfill college entrance and placement requirements. This lack of consistency leads to students graduating from high school under one set of academic principles and, three months later, finding themselves required to participate under a completely new set of academic principles in college and university settings. As a result, higher education resources are fruitlessly spent on inadequately prepared students – education dollars that could be better spent cultivating knowledge that would prove relevant to higher education and prepare students for successful, productive futures. We can all agree that students entering higher education without the basic skills needed to be successful, competitive and truly efficient in the higher education environment is unacceptable. Is the end goal a set of deliberately defined classes of people? Regardless, we as a community are wasting our number one resource: our children. Clearly, students’ locales determine the standard of education and this standard has become a dollars-and-cents problem. Poor communities have a demonstrably lower quality of education. Does this discrepancy really have financial causes, or do schools have too many standards and no accountability? Is the end goal a set of deliberately defined classes of people? Regardless, we as a community are wasting our number one resource: our children. The main problem as I see it is that the students’ preparations between high school and college are not linked; pondering the need for this “linked” element leads me to surmise that perhaps social media and its limitless education outreach could possibly support the joined efforts of many stakeholders in education, resulting in reducing or eliminating the K-12 and college /university disconnect altogether. To test this idea, I turned to LinkedIn. LinkedIn purports itself to be the world’s largest professional network, with more than 175 million members; the site permits its users to exchange knowledge, ideas and opportunities with a large network of professionals. This exchange of knowledge and ideas stimulated me to write this article. I posted the following question on five education-related discussion groups on LinkedIn: “I believe higher education cannot create success unless K-12 does; what do you say?” I found that many members shared a similar opinion to mine, regardless of where the members were located in the world. The current education systems are not prepared to address students’ needs across education systems, many members agreed, and no one is held accountable for issues related to student transitions from high school to college/university. This was the consensus among LinkedIn professionals from the United States, United Kingdom, Germany, Trinidad/Tobago, Australia, India and South Africa. Programs patterned after Google’s Successful Transitions And Retention Track (START), a program that takes high school dropouts and creates amazing success stories. Perhaps the education community can take this concept and engage students before they drop out of school altogether and create this type of successful environments in high schools. From these nine points, a picture emerges of engaging students earlier in the education process and promoting a successful educational transition from K-12 to higher education. For this to happen, partnerships must be formed between colleges, universities and their local K-12 schools. I believe that the great minds and spirits of all our citizens are clearly our number one natural resource. Collaborative efforts between the K-12 and the higher education community are important and powerful. Modern technology forces change upon us at an unlimited pace; can the education community keep up and adapt to this change while improving education quality? Since belief is 99 percent of reality, I believe the education community can keep up and adapt to this change while improving educational quality when we collaborate, communicate and equip students to learn for the rest of their lives. Academic Search Premier, Ipswich, MA. Right People On The Bus Philosophy Is The Wrong Philosophy! Getting the “right people on the bus” philosophy is the wrong philosophy. How disappointing history is, business solutions to improving the United States manufacturing industry has not changed in a hundred years. Back in the early 1900s and 1800s the United States went through a similar economic downturn. The root cause was simple, we failed to keep up with technology, and we failed to preserve an educated workforce. We also have lost sight of the markets, combined with a lack of market aggressiveness; we began importing more than we exported which in turn created a devastating imbalance in trade. The historical research to support these statements is simple for anyone to conduct using Google or Yahoo. Therefore, the disappointment comes about from our lack of learning from our past lessons learned, it appears we wasted all this relevant knowledge and are reinventing the wrong wheel. We have become so focused on getting the “right people on the bus” that we’ve destroyed morale. We as a society have created a negative bearing for employee integrity because the “right people on the bus” mind-set clearly means everyone is just a number. Getting the “right people on the bus” philosophy is the wrong philosophy, because most firms can’t afford to be getting rid of people to make room for the perceived right person. The people left behind become negatively affected by this practice. These people left behind subconsciously fail to thrive, always followed by a succession of updated resumes going out in all directions. Even the top performers now left with a feeling of despair; this is a natural human behavior that adversely affects employee loyalty and performance. This means, having the “right people on the bus” is not enough: getting the people in the right seat is of greater importance. You can do this by building positive relationships, identifying and focusing on people’s strengths, and exploiting these strengths in a way that everyone wins, and everyone benefits! “right people on the bus” from Collins, J. (2001). Good to Great: Why Some Companies Make the Leap and Others Don’t. New York: HarperCollins. 3 Comments	| tags: AMERICAN WRITER, business, business solutions, educated, historical, historical research, history, Human Factors, Human Factors Practitioner, New Hampshire, philosophy, Pietro Savo, research, right people on the bus, solutions, United States, workforce	| posted in AMERICAN WRITER, Manufacturing Research Practitioner ™, NEW HAMPSHIRE "Live Free or Die." We are surrounded by economic doom and gloom, and business growth and business survival is critical to our economy. Today as consumers we import more than we export and job loss from this strategy has created economic devastation that affects the entire world. It appears that our economic strategists have forgotten to leave the world better than they find it; instead they choose to get rich, at such an overwhelming cost to the rest of us. You can’t help wonder what is being taught in top business schools, “Gluttony 501!” In a devastating economy, developing renewed business success dependent on cultural adaptability is key. Cultural adaptability is a rediscovering process critical to the survival of any business. Business complacency is an example of untrue leadership or non leadership, any company that becomes complacent is certain to fail. The markets will continue to evolve and the amount of market change is unknown; what is clear is that “The Markets Drives the Business” and business resiliency is vital. Rediscovering business success and having the right people on the bus is not enough, more important is having the right people in the right seat; this is a never-ending rediscovering process. All the books that have been written about the rediscovering process can be summed up into one rule; “Rediscover, rediscover often, and never stop rediscovering your business.” Businesses managed by this rule create success in all directions, is fun to work at, have very high morale and low employee turnover, and rediscovering is the spirit of success! Leave a comment	| tags: adaptability, AMERICAN WRITER, business, business solutions, Cultural, dependent, devastation, doom, economic, educated, fun, Gluttony, historical, historical research, history, Human Factors, Manufacturing Research Practitioner ™, overwhelming, Pietro Savo, rediscover, right people on the bus, survival, taught, Tuck, yale	| posted in AMERICAN WRITER, Manufacturing Research Practitioner ™, NEW HAMPSHIRE "Live Free or Die." A Manufacturing Research Practitioner (MRP) is a person who engages in real world applied research with a basic understanding of global economies and cultures for advancing manufacturing practices. MRP will have a deep knowledge of how to implement lean manufacturing processes, how to manage the supply chain efficiently, and how to project management, problem solve and work effectively as a team member or leader. Manufacturing research practitioner represents an army of academic and business manufacturing practitioners who will join forces to become one defined entity. Manufacturing Research Practitioner demonstrated that team based organizational learning does occur when promoted by management, and when supported by a suitable learning infrastructure. The internal manufacturing performance model and the empirical evidence provide an important building block to develop an inclusive theory for preparing learning tactics formulated on business growth strategies promoted by people.Because it represents a proposed model where the empirical evidence suggests rational theories for formulating effective learning strategies in the manufacturing environments. This knowledge comes to acceptable conclusions identifying the genuine importance of organizational learning for human capital. People involvement helps determine good research from poor research and creates solid bonds between researcher and manufacturing practitioner. The manufacturing world has changed, and the conventional educational curricula for engineers must change along with it. Technical skills provided as the core of almost every engineering degree program are still critical, but the workforce needs to come into industry equipped with additional skills, and the ability to apply what they know to meet challenges that didn’t exist a few decades ago. To be successful, today’s manufacturing professionals need to know how to implement lean manufacturing processes, how to manage the supply chain efficiently, and how to work effectively as team members. As we get closer to understanding the importance of Manufacturing Research Practitioner, clarity or the desperation of how important it is to once again make successful the United States manufacturing industry. 1. Savo, Pietro (July 2008). Manufacturing Research Practitioner. Boston. 2. Cebeci, Tuncer (August 2003). Broadening the manufacturing practitioner’s education. New York: Society of Manufacturing Engineers. 3. Liberopoulos, George (July 2006). Stochastic Modeling of Manufacturing Systems: Advances in Design, Performance Evaluation, and Control Issues (Hardcover). New York: International Journal of Production Research. 4. Savo, Pietro (2007). 10 Secrets to Successful Lean Manufacturing Implementation. Boston: Lulu Tradition Books. Leave a comment	| tags: AMERICAN WRITER, business, business solutions, chain, culture, educated, global, historical, historical research, history, Human Factors, manufacturing, Manufacturing Research Practitioner, Manufacturing Research Practitioner ™, MRP, Pietro Savo, project, real, research, suplly, world	| posted in AMERICAN WRITER, Manufacturing Research Practitioner ™, NEW HAMPSHIRE "Live Free or Die." The Marketability Correlation – How a student’s marketability correlates with Career Colleges! Doing the Job; Are apprenticeships for real or just a political flavor of the month? How your higher education institution becomes the trailblazer promoting education greatness! AMERICAN WRITER A Positive Thinking Movement! 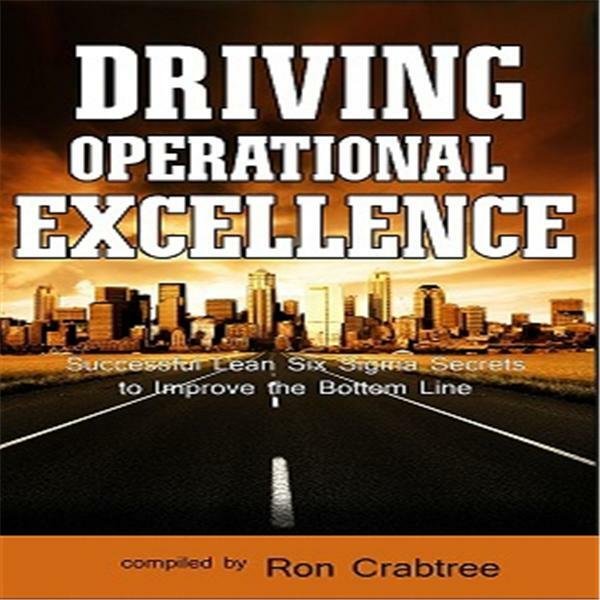 Interview with Dr. Pietro Savo "Lean Make Over " Welcome to this edition of my Operational Excellence Edge Radio Show. If you think Lean is just for manufacturing you will find this edition of amazing & simple! LinkedLocalNetwork Reports Radio Show – Interview with Dr. Pietro Boehler and Michele Rempel interview international, national and local leaders of business, not for profit, NGO and governmental leaders. Little Black Book of Connections: 6.5 Assets for Networking Your Way to Rich Relationships [Hardcover] Practical, and fun book, Jeffrey Gitomer, offers a fresh take on networking and connecting your way to success. The Little Black Book of Connections is based on the power of give value first. Little Red Book of Selling: 12.5 Principles of Sales Greatness [Hardcover] Salespeople hate to read. That’s why Little Red Book of Selling is short, sweet, and to the point. It’s packed with answers that people are searching for in order to help them make sales for the moment–and the rest of their lives. Small Business Building with Dr. Pete – Radio Show Interested in Building Business with the United States Government and Prime Contractors? Small Business Building with Dr. Pete Radio Show – PERFECTION – 10 Secrets to Successful Lean Manufacturing Implementation. PERFECTION begins with the simple belief that perfection is achievable and well within our reach. Enter your email address to subscribe to Dr. Pietro Savo AMERICAN WRITER, A Positive Thinking Movement! blog and receive notifications of new posts by email.